The human body responds to external factors in all sorts of ways. It creates an entire visual show when exposed to various stimuli, a spectacle that’s worthy of all admiration. 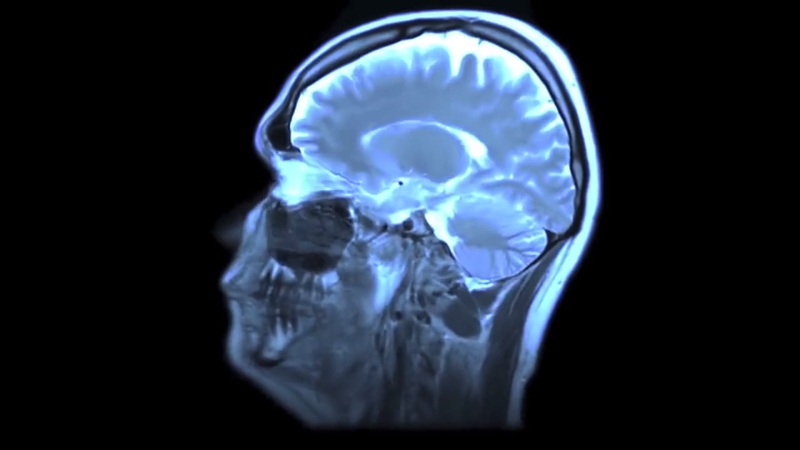 When it comes to the human brain itself, things get even more explosive. The center of the nervous system possesses an ability to impress us with a different kind of performance. If you allow us, we’ll show you how the brain can lead us on a psychedelic journey, where the viewers get easily lost in huge rushing waves of colors and weird sounds. We’ve seen how the brain reacts to a massage: it bursts with energy and forms psychedelic-like images that spin around other abstract visual structures. The human body contours everything involuntarily. The same thing happens when the brain is exposed to music. But we’ve seen this too when Grolsch Romania performed a small experiment to show just how remarkable the brain’s response can be when it gets stimulated with audio signal. Streaming giant Netflix follows the same formula, only besides music, it uses images together with the human brain. This creative experiment, commissioned in partnership with production company Tool of North America, aims to promote Netflix’s original sci-fi series, Sense8, co-created by the Wachowskis and J. Michael Straczynski. The show follows the adventure of eight protagonists who are, somehow, connected to each other through telepathy and empathy. Netflix decided to bring this scenario to the real world so that the audience can literally see these unusual connections that appear amongst the participants. And, why not, maybe even listen to how these bonds would sound like. So, dear readers, prepare yourselves, because during this week’s #ThrowBrandThursday we’re bringing you the “Brainwave Symphony,” a concert unlike any other, with “lyrics” composed by the brainwaves of eight strangers who happened to watch the series. The creative team exposed the subjects to a series of trippy, hallucinatory, mind-expanding illustrations which were specially crafted to trigger various emotional reactions. To complete the process, the crew added audio notes to each of the resulting alpha, beta, delta, gamma, and theta waves. “There is something musical about the way the brain works,” Straczynski says in the video documentation of the process. “It’s a symphony on its own terms.” You can watch the video that caused the brainwaves to engage in a wonderful dance, below. And perhaps see what it does to you. What actually happened is that the team connected the fans to an electroencephalograph. Then, using EGG sensors, they monitored the participants’ brainwaves and their responses to a series of external stimuli, such as light, sound, scent, and graphics, which evoked some psychological responses within the subjects. The experiment was finally completed, once the brainwaves were combined with music to deliver a special kind of symphony. According to the streaming company, the symphony was crafted like “a jazz chart where the structure of the overall tune is defined and followed, but the individual performances aren’t known until they happen, they’re improvised in the moment.” Netflix is the entity that delivered the “rhythm section” and the “song flow,” whereas the final song was composed by the oscillating brain waves of the fans. Netflix’s one-of-a-kind Symphony had massive success: it was featured in various media outlets, which helped the project get boosted amongst the audience. As a result, over 70 million unique visitors accessed the website dedicated to the project; it gathered more than 50 million social media impressions; 100,000 YouTube views of the campaign video, as well as over 10,000 Vimeo plays of the “Trigger” video. Way to go, Netflix! Oh, and if you just want to listen to the music, we should let you know that Netflix released the Trigger on Spotify. So, click here and add the song to your playlist. Let your brain dance!